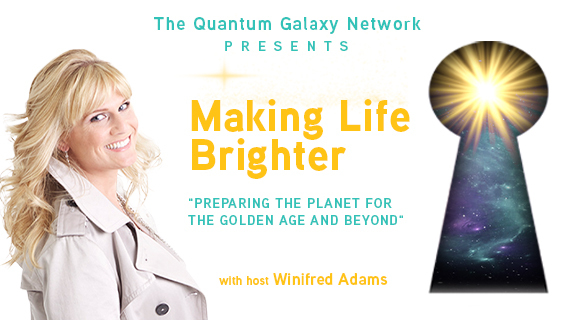 This Thursday @ 10 am PST/ 1 pm EST, join your host, Winifred Adams, for the Making Life Brighter Radio show! In this episode, follow along in Part II of the moving interview with Beatrice as she goes through extreme healing for cancer in her lungs while at John of God in Brazil. Learn more about the follow up of that event and how the ego plays a crucial part in a person's setbacks or movement. Find out what proven tools can help people and why. Beatrice went to John of God in Brazil without really knowing what to expect, but had high hopes for complete healing. Having been diagnosed with two lungs of cancer they gave her no time to live. In this special two part series hear how she experienced the healings at the Casa and how her friend Rene who served as her translator and helping hand, also experienced these powerful and transformative healings. Have you seen the movie? This is the movie for the next decade. Go behind the scenes with Winifred at a special premiere in Los Angeles with the producers and principles of this powerful documentary. Find out what they had to say about this powerful documentary regarding vaccines that may be rendering 1 in 7 children with autism. Find out about this growing health crisis and how this information can affect you.